We don't know about you but, when this writer was eight years old, the most impressive thing we could create was a farting noise by cupping our hand under our armpit. But times change, kids these days are born with a smartphone in their hand and Bluetooth connectivity built in as standard. Or something like that. 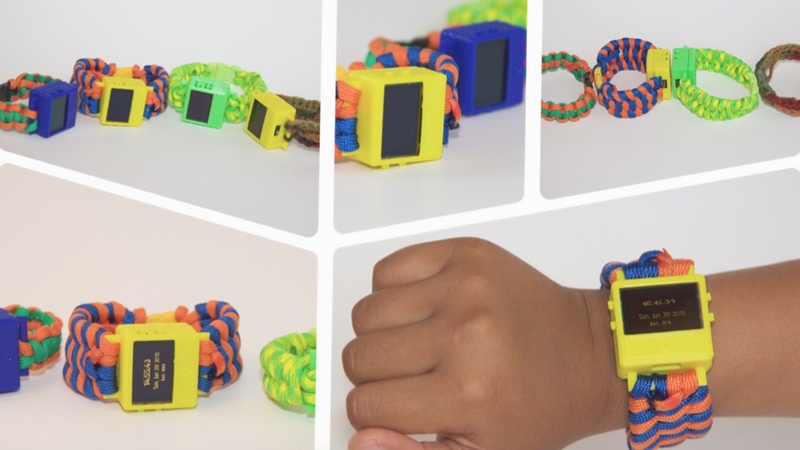 They're certainly a lot more tech savvy and there's no better example than that of Omkar Govil-Nair, an 8-year-old kid, who has been showing off his 3D printed O Watch at his local San Francisco Bay Area Maker Faire this week and is all set to launch a crowdfund campaign. Using the Arduino Zero platform - a 32 bit board based on ARM SoC architecture - Omkar has constructed a funky looking smartwatch capable of running games and apps. "Since it is a fully Arduino-compatible product in a tiny package, you can do a lot more – pretty much anything that is possible using a regular Arduino board and a colour screen," said the youngster. "You will also learn how to do 3D design." The O Watch will be landing on a crowdfuding site later this month and there will be a couple of options for people to back - one packing the Arduino tech, an OLED display, a battery, the 3D-printed case and strap; and another that adds integrated 3-axis compass and temperature, barometric pressure, and humidity sensors. There's no word on pricing as of yet, but you can sign up for updates now.